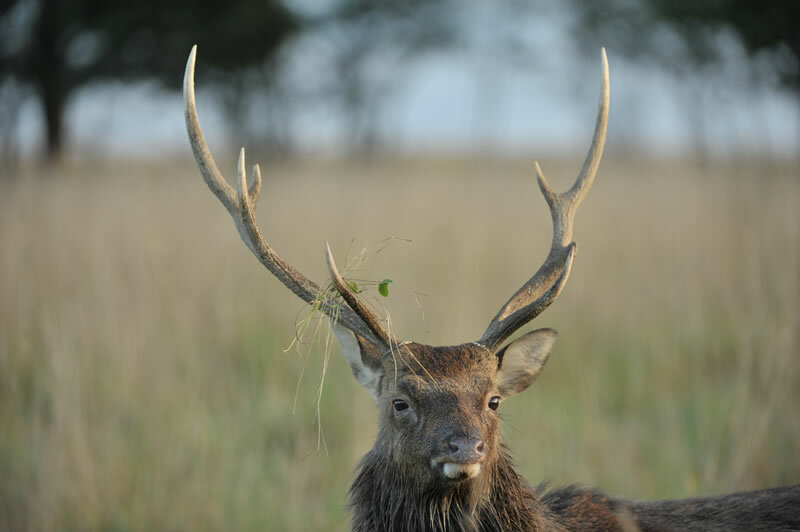 The sika deer (Cervus sika nippon) originate from Japan. The Mikado (Japanese emperor) offered the first sika deer to France in 1890. 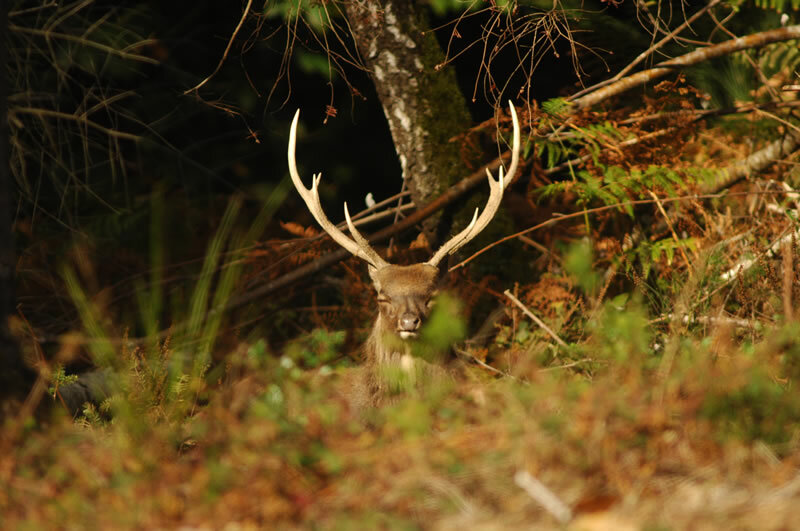 Since then, the French sika deer populations have increased a lot, and this species is now considered as a French hunting game species. The weight of this small deer species does not exceed 60kg. 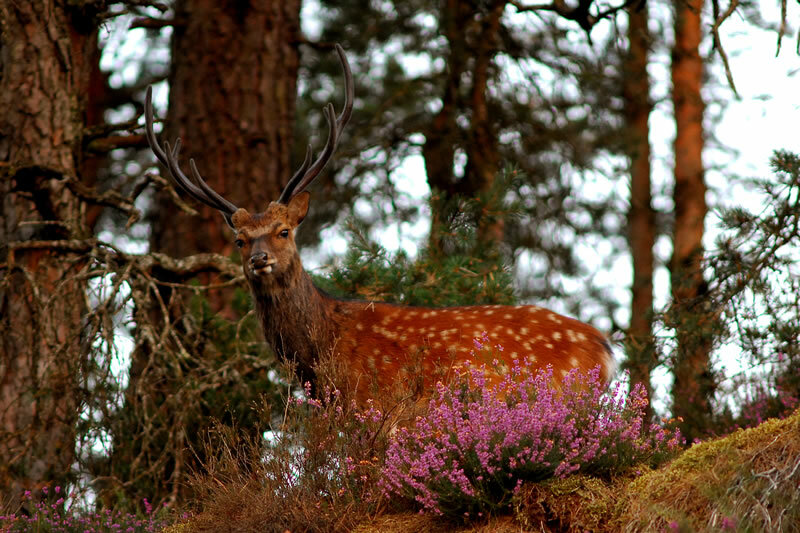 The sika deer is a beautiful animal, black during the winter and brown with white spots during the summer. During the rut, from September to October, it whistles almost like an elk. Its antlers have a lots of pearls, and rarely have more than eight branches. It the hunting park of Laplanque some sika deer have 10 to 12 branches.